I’ve started adding the campaign selection menu into the game. At first the player will only be able to play a single scenario given these settings, but in the future a campaign will consist of many scenarios linked together, over which your crew will accumulate experience, skills, and injuries. 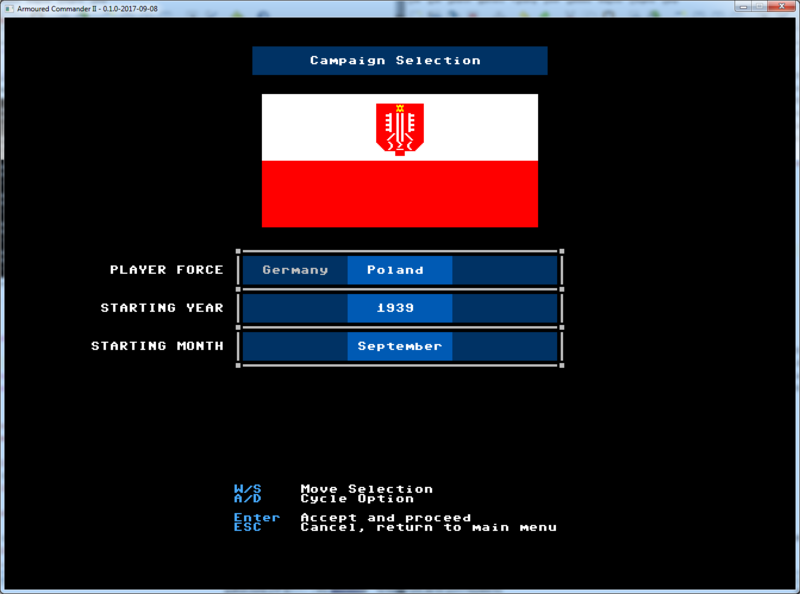 Also seemed like a good time to start adding Polish forces as playable units.